Massage therapy is a therapeutic approach of using a variety of techniques to manipulate your joints and soft tissue to improve your body’s overall health. Your body needs oxygen to be healthy and thrive. Massage increases the supply of oxygen and nutrients directly to your muscles. This aids in removing waste from the muscle tissue. The use of massage can speed and assist in your body’s ability to heal itself. Broward Medical and Rehab believes in providing high quality massage therapy by very trained and experienced professionals. 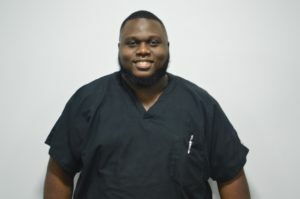 Brian Felton is a Licensed Massage Therapist serving the South Florida area. He believes in a holistic approach to massage using his training and experience to heal his patients. Whether you need relaxation, pain management and/or overall health and wellness massages. This type of therapy will improve your quality of life. Brian specializes in therapeutic, deep tissue, prenatal, and Swedish massage. Brian is a firm believer in tailoring his services to meet the needs of his patients. To schedule a massage with Brian, call Broward Medical and Rehab at (954) 925-7333 located at 2607 Polk Street, Hollywood, Fl 33020. Caring and helping patients in Hollywood and Plantation in South Florida for almost two decades.